Earlier this week, The Rake celebrated the launch of the exclusive Hublot Aerofusion Chronograph “Molon Labe” at the Corinthia. The collaboration has produced 25 watches, which can only be obtained here on TheRake.com. Wei Koh, Ahmed Rahman, Benoit Lacigne. Straddling both the ancient and modern worlds, The Rake’s first collaboration with Swiss watchmaker Hublot – the Aerofusion Chronograph ‘Molon Labe’ – marries classicism and contemporary aesthetics. While only 25 of these timepieces were made, an extra special edition of the watch was made – numbered 00 – to be auctioned off to raise money for The Prince's Trust. 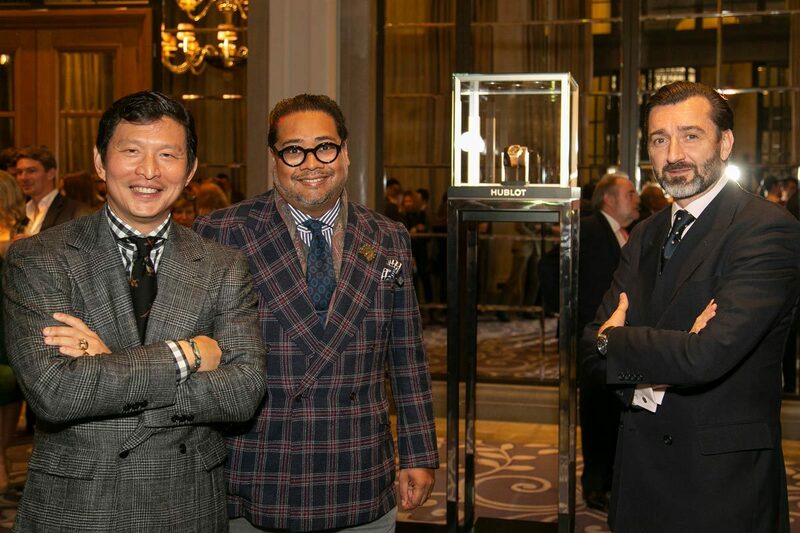 Held at the Corinthia in London, guests of The Rake’s founder Wei Koh and Hublot’s Benoit Lecigne raised a glass to the collaboration before the exclusive edition went under the hammer. Special Edition Hublot x The Rake, Aerofusion Chronograph "Molon Labe"